Many would say, “Oh hey, a big rock that looks a little like a face. Cool.” Fanboys, however, would point out that such a face-rock has existed in Marvel before. 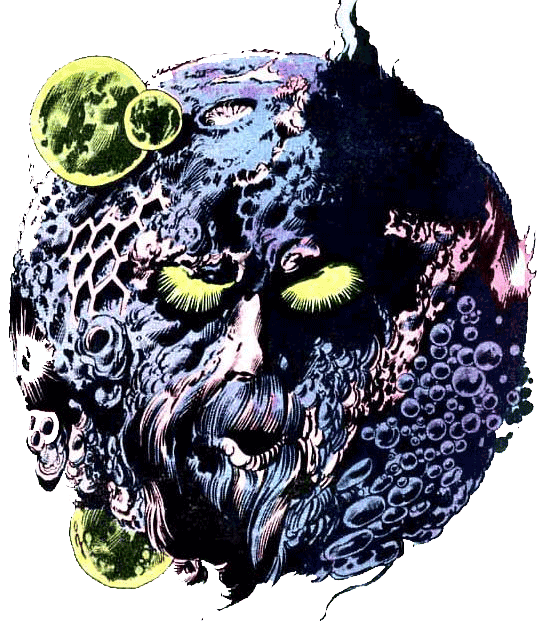 Ego the Living Planet is a lot like he sounds like. He’s a giant living planet. He has had run ins with the hero Thor and the villain Galactus. In the past, Ego has created superhumans from itself and sent them out to conquer other planets. Okay, he’s not exactly the least cheesy thing in the Marvel Universe. Personally, I don’t think the movie will acknowledge Ego at all. I don’t think the image from the trailer is Ego. I think, if anything, it’s a little Easter Egg. He’s just too strange and out there. But it’s been on the minds of a few nerds, myself included. What do you think? Is the image from the trailer Ego the Living Planet, or just a cool skull-like rock in space? Sound off in the comments, but only time will tell.